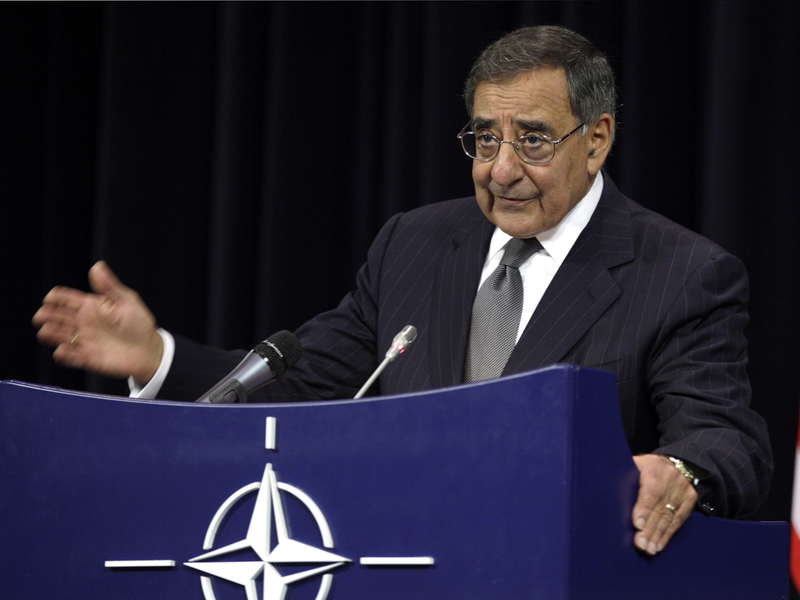 BRUSSELS Defense Secretary Leon Panetta urged NATO defense ministers Wednesday to help fill the shortfall of military training teams in Afghanistan in order to build the capabilities of the Afghan forces so they can take control of their country's security by the end of 2014. In remarks to the ministers' conference here, Panetta asked that they provide the 58 teams that are needed, and give those commitments by later next month. The ministers are gathering in Belgium to deliberate the next phase of the Afghanistan war and to hear how military commanders plan to tamp down the insider attacks that have killed or injured 130 allied forces. Officials here are also expected to formally announce that the top U.S. commander in Afghanistan, Marine Gen. John Allen, will be the next NATO supreme allied commander. Allen is slated to take over early next year, and Marine Gen. Joseph Dunford, the assistant Marine commandant, would take the top Afghanistan job. The changes must be confirmed by the U.S. Senate. During the meeting, Allen and Panetta assured the ministers that commanders have come up with a range of ways to reduce the insider attacks in which Afghans, or insurgents wearing their uniforms, have turned their guns on allied forces. NATO Secretary-General Anders Fogh Rasmussen began the meeting saying that the coalition of 50 nations contributing to the Afghanistan fight will begin to withdraw their forces between now and the end of 2014, as planned. And he seemed to reject any idea that there will be any acceleration in the drawdown, despite concerns about the insider attacks. "This is not about speeding up," said Rasmussen, adding that the coalition will execute a careful, deliberate and coordinated process for the transfer of security to the Afghans by the time the NATO combat mission ends in 2014.